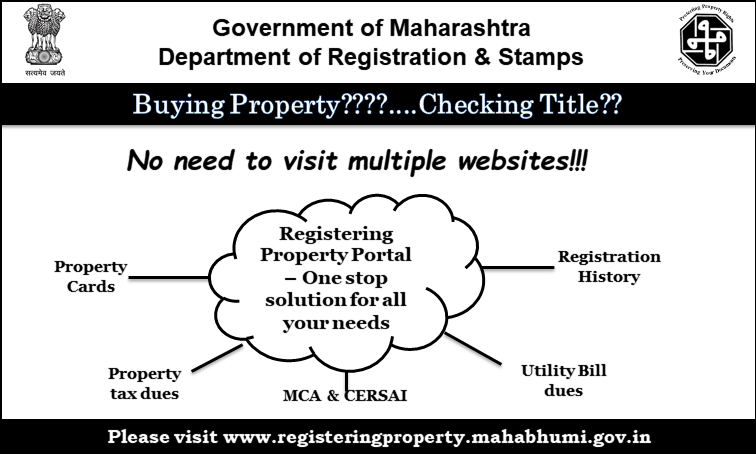 Want to know more about Property Registration Process? it’s good But suggest to include more services like L&L..
#EsakalFBLive राज्याचे नोंदणीमहानिरीक्षक व मुद्रांक नियंत्रक श्री. अनिल कवडे यांच्याशी संवाद..
यूआयडीएआयच्या नवीनतम मार्गदर्शक तत्त्वानुसार, नोंदणी प्रक्रियेदरम्यान आधार प्रमाणीकरणासाठी वापरल्या जाणार्या डिव्हाइसेसना यूआयडीचे पालन करणे आवश्यक आहे. यूआयडीएआय द्वारे देखील असे सूचित केले गेले आहे की अशा सर्व गैर-अनुपालनशील यूआयडी डिव्हाइसेसची सेवा 06 डिसें 2017 पासून बंद केली जाईल. यूआयडी मार्गदर्शक तत्त्वांचे पालन करण्यासाठी आपल्या बायोमेट्रिक डिव्हाइसेसना संबंधित OEM सह नोंदणी करण्याचे सुचविले आहे. टीप: डिव्हाइसेसची नोंदणी करण्यासाठी, कृपया संबंधित OEM वेबसाइटला भेट द्या. मालमत्तेची नोंदणी करण्यासाठी जागतिक बँकेच्या सर्वेक्षणाचा एक भाग व्हा ..
सेवा करारावर नियुक्तीसाठी टाउन प्लॅनिंग, टाऊन प्लॅनर आणि असिस्टंट टाऊन प्लॅनरचे सेवानिवृत्त सहाय्यक संचालकांचे गटनिदान. दिनांक १ एप्रिल, २०१६ पासून जर निवासी किंवा कृषि मालमत्ता ही पती, पत्नी, मुलगा, मुलगी, नातू, नात, मरण पावलेल्या मुलाची पत्नी यांना बक्षीस दिलेली असेल तर त्याकरिता करण्यात येणा-या बक्षिसपत्राच्या दस्तावर रु.२००/- इतकी नोंदणी फी देय असेल. · You can upload the draft of document to be registered. 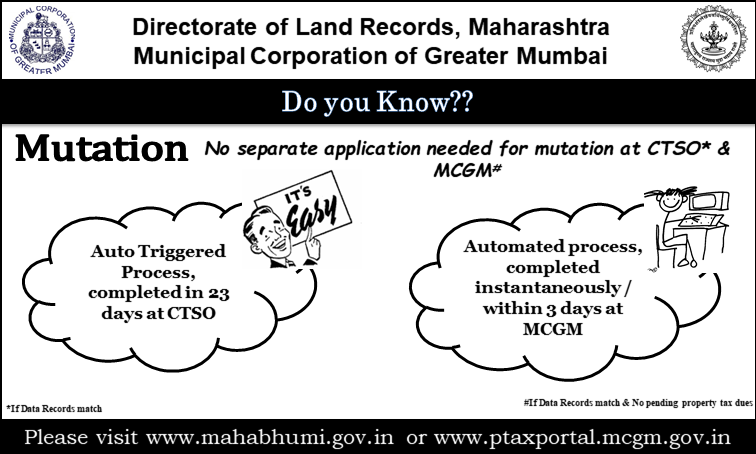 · This facility will save the time for scrutiny of document at Sub Registrar Office and also the time for scanning of document. · At present, available for non-executed document only. Shall be provided soon for executed document. 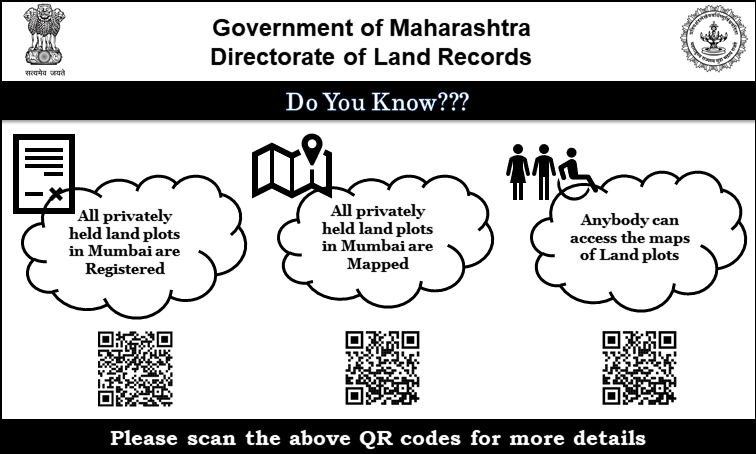 · At Present this facility is available for SR Mumbai-2, SR Andheri-2, SR Borivali-2 and SR Kurla-2 only. Shall be provided for other Offices soon. · If you have the scanner, scan the required annexure ​ including ID proofs, PAN etc. and save it in separate pdf files. · Attach the pdf files of Draft and execution page at relevant place and submit. · It is optional to attach at relevant place and submit the required annexure/s. 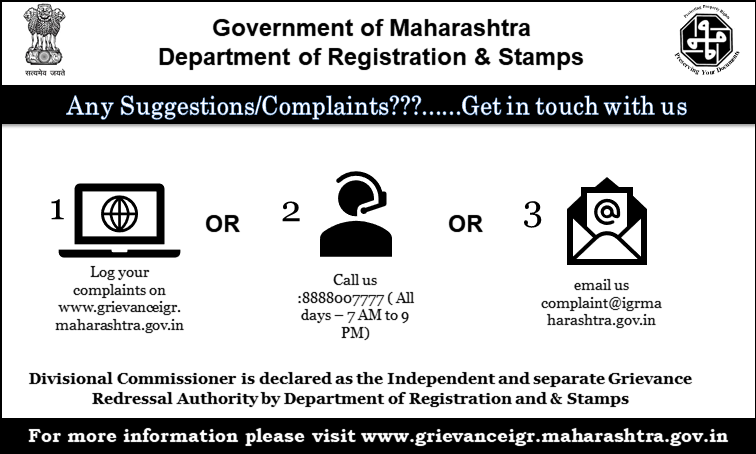 · The Sub Registrar will check the draft and communicate you whether the document is qualified for registration or not. · You can check the status in the PDE Module by using your user id and password. 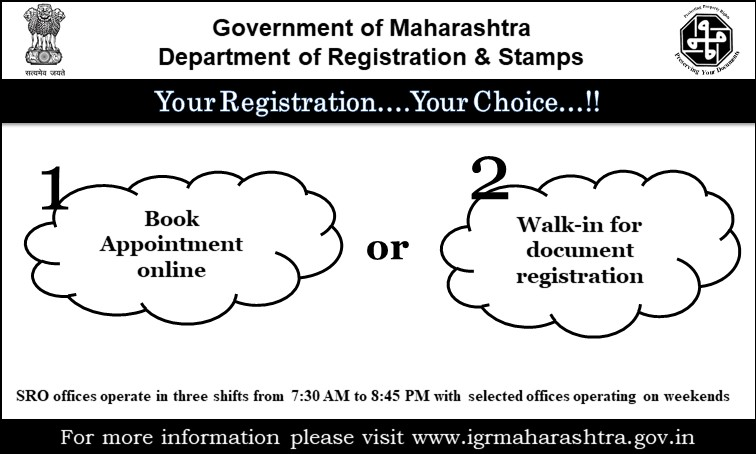 · If qualified, you can visit the Sub Registrar’s office on scheduled date of execution (i.e. Date of execution mentioned in the draft). 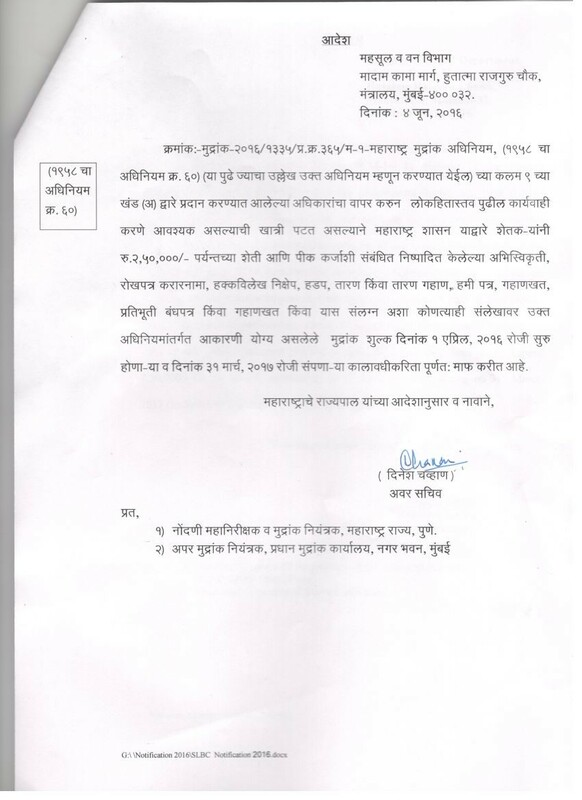 · If queried by Sub Registrar, edit the draft accordingly and upload the modified file. · All the executants (i.e. the executing parties to the document) and the witnesses have to be present simultaneously in Sub Registrar office on the date of execution. · No need of document to bring, only the required annexures and photos of Parties will be required. · All parties will execute (sign) the document and witnesses will sign. Shall also affix the photos and Thumb impression at relevant place. · The presentation, Admission, Identification and Registration will take place as usual. 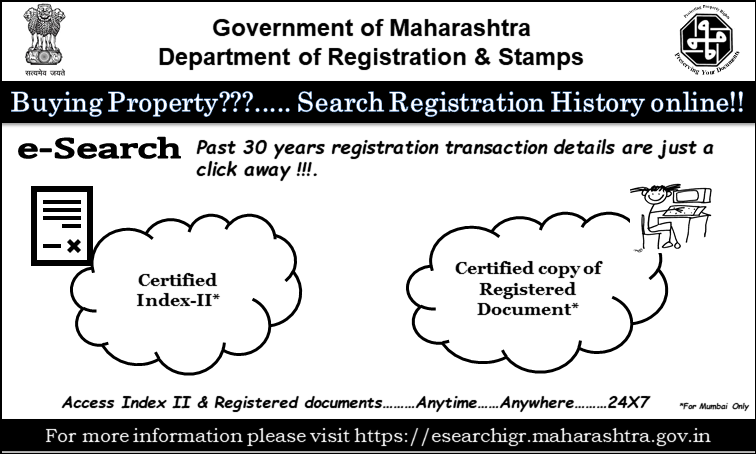 · In the initial days, Sub Registrar will put the seal, paging on entire document and scan it and shall handover it to the presenting party. · At the later stage, it will be strived for scanning of execution page, summary I and II and merging it with the Digital Document and save it. 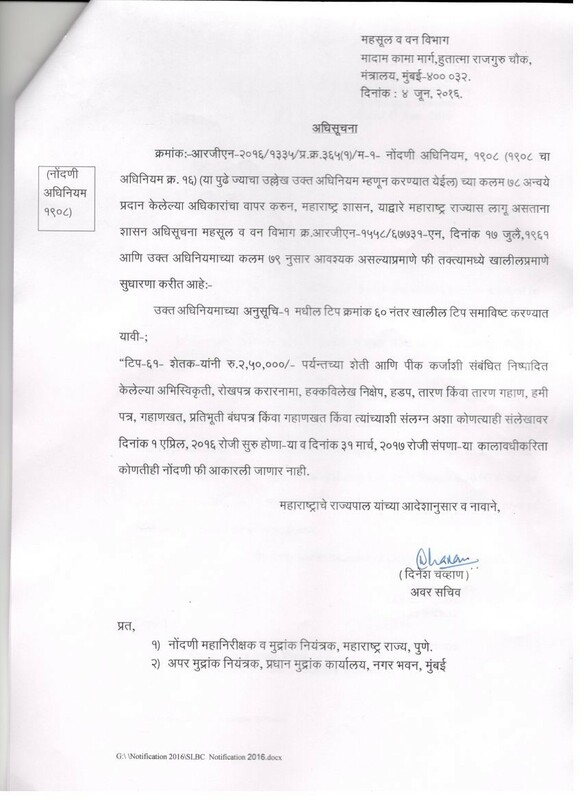 www.igrmaharashtra.gov.in will not be available on 17/04/2019 from 12pm to 4pm due to maintenance work.